Comfort vs style? Well, you can certainly do both. The athleisure trend, although it's always been a thing for some people, has hit fashion week and street style in full force in recent months. Who doesn't love an ace outfit with a comfy pair of shoes? The key to wearing trainers, even if you don't class yourself as the sporty type.. wear them as you would any other pair of flats. Dress down a smart pair of trousers and a shirt or team them with your favourite dress to create an off-duty look. With so many styles, colours and textures, there's most definitely a pair out there for you. 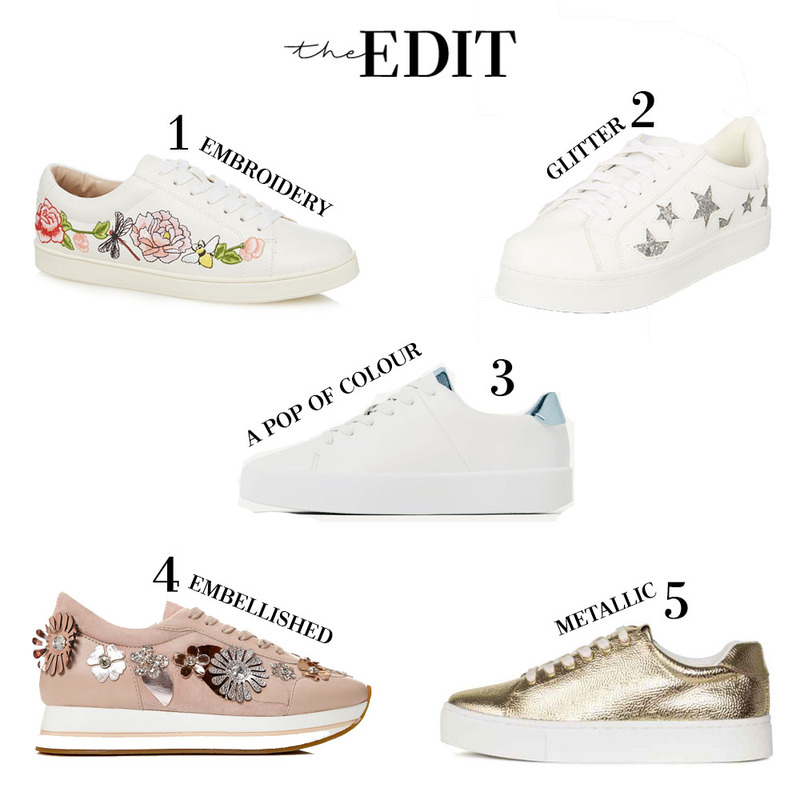 I love the slight hint of metallic on the Zara trainers, a simple yet effective way to glam up a casual look. Who says the walk to work can't look as stylish as it would in your favourite heels! If you're petite, any trainers with a slight flatform will help create height. As a general rule, any neutral colour shoe will work to elongate the leg and neutral doesn't have to be boring - look at pair number 4, for example.